Figure 1: USS Tacoma (PG-92), date and place unknown. US Navy photograph. Click on photograph for larger image. Figure 2: USS Tacoma (PG-92), date and place unknown. Photograph courtesy of Terry Eccleston, GMCS(SW), USNR, Patrol Gunboat Association, and Terry W. McManuels, ETCM(SW), Retired. Click on photograph for larger image. Figure 3: USS Tacoma (PG-92), right, coming up astern of USS Canon (PG-90), date and place unknown. US Navy photograph from the November 1972 edition of All Hands Magazine. Click on photograph for larger image. 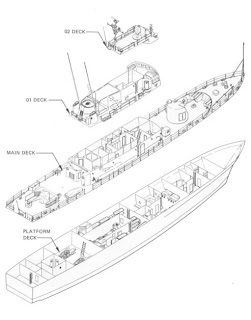 Figure 4: Cutaway drawing of an Asheville class patrol gunboat. Click on diagram for larger image. Figure 5: USS Tacoma (PG-92), date and place unknown. US Navy photograph. Click on photograph for larger image. 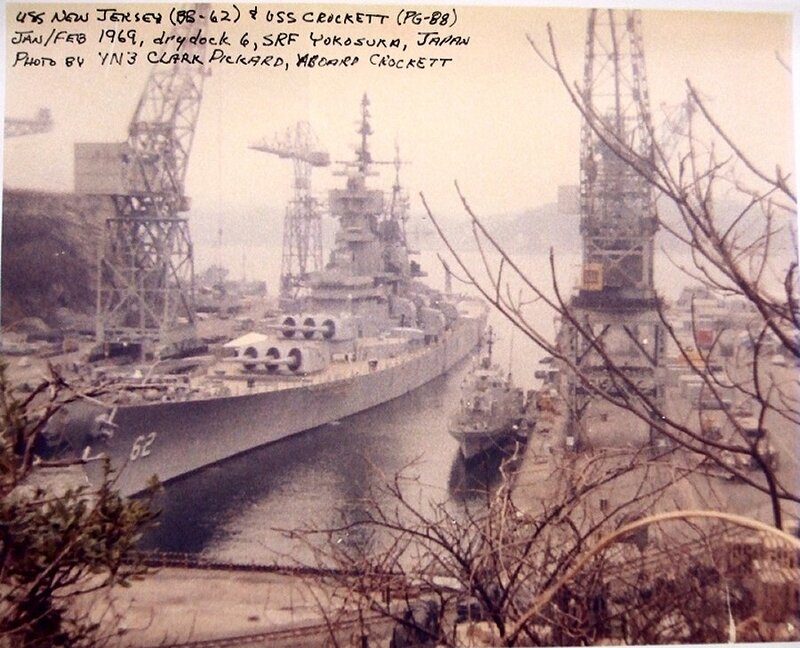 Figure 6: USS New Jersey (BB-62) and USS Crockett (PG-88), in Dry Dock 6, Ship Repair Facility at Yokosuka, Japan, circa January or February 1969. 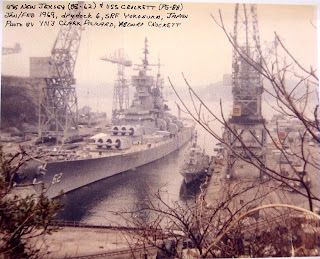 This picture gives you an idea of the difference in size between an Asheville class patrol gunboat and a battleship. Photograph by YN3 Clark Pickard, aboard Crockett. Click on photograph for larger image. Figure 7: USS Tacoma (PG-92) after she was transferred to Colombia in 1983 and renamed ARC (Armada de la República de Colombia) Quitasueño (P 112). Photograph courtesy of Lieutenant (r) Luis Bernardo Castro Villegas. Click on photograph for larger image. Figure 8: ARC Quitasueño (P 112) in July 1998 after she was transferred from the Colombian Navy to the Colombian Coast Guard. 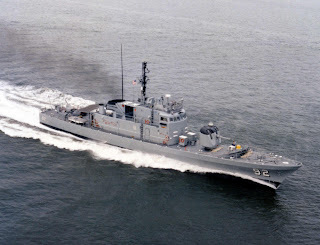 Photograph courtesy of Capitan de Corbeta, Phinio Alberto Garcia Garavito, Columbian Navy, via Patrol Gunboat Association, Terry W. McManuels, ETCM(SW), Retired. Click on photograph for larger image. 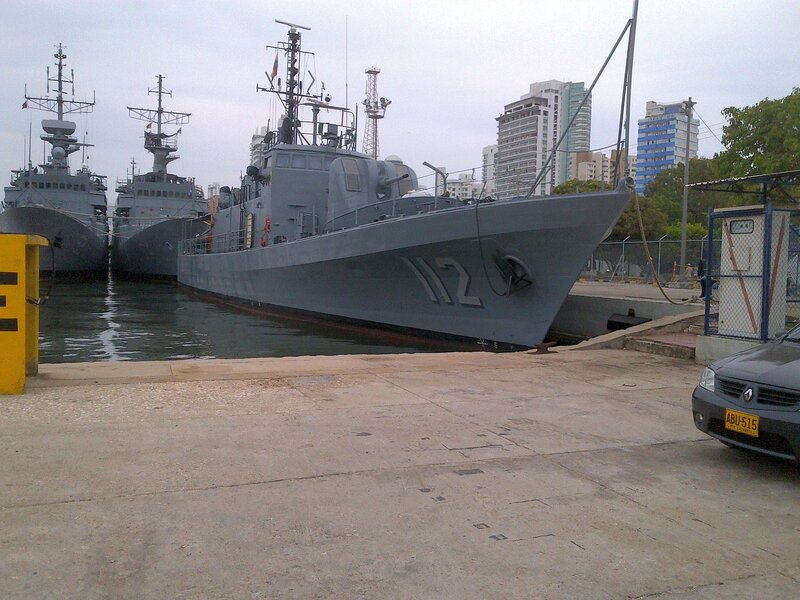 Figure 9: ARC Quitasueño (P 112) as she looks today at the Naval Base ARC Bolivar, Colombia, Main Pier, Sector E. The photograph is dated 8 June 2012. Photograph courtesy of Lieutenant Luis B. Castro (r), Colombian Navy. Click on photograph for larger image. 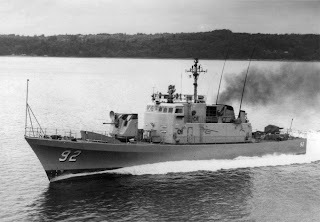 Named after a city in Washington State, the 247-ton USS Tacoma (PG-92) was an Asheville class patrol gunboat that was built by the Tacoma Boatbuilding Company at Tacoma, Washington, and was commissioned on 14 July 1969. The ship was approximately 165 feet long and 24 feet wide, had a top speed of 37.5 knots, and had a crew of 24 officers and men. Tacoma was armed with one 3-inch gun, one 40-mm gun, and two twin .50-caliber machine gun mounts. During the fall of 1969, Tacoma completed her shakedown cruise along the coast of California. After that, she participated in amphibious exercises off Camp Pendleton, California, in early December. In January 1970, Tacoma entered Long Beach Naval Shipyard for post-shakedown availability. She went to San Diego, California, on 20 May and began preparations for deployment to the western Pacific. On 1 August, she set sail for the Marianas Islands. After a one-week stopover in Pearl Harbor, Hawaii, Tacoma arrived in her new home port at Apra, Guam, on 28 August. For the next four years, Tacoma alternated deployments to Vietnam and patrols in the islands of the Trust Territories of Micronesia. 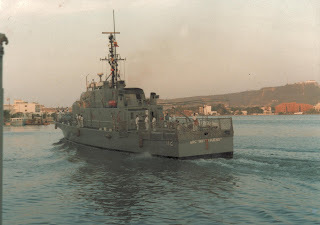 Her first tour of duty off the coast of Vietnam began on 28 September 1970 when she arrived at Cam Ranh Bay after a brief overhaul at Subic Bay in the Philippines. 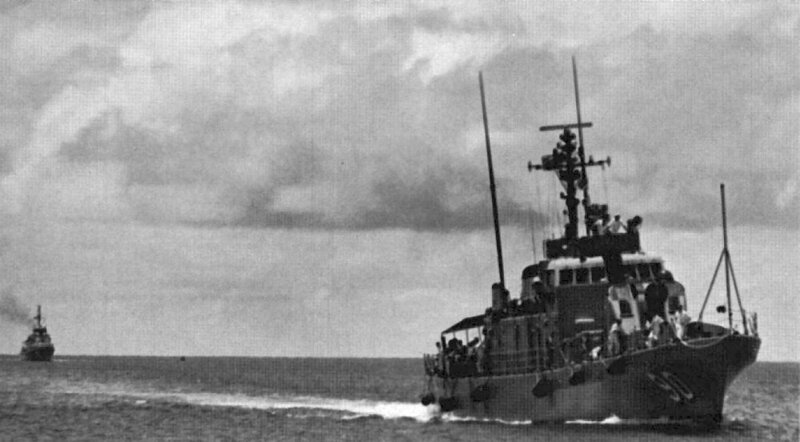 She was assigned to the US Navy’s Coastal Surveillance Force off Vietnam and participated in search-and-rescue missions and interdicted communist coastal supply traffic as part of “Operation Market Time,” which was designed to prevent communist guerrillas in South Vietnam from being supplied by sea by the North Vietnamese. 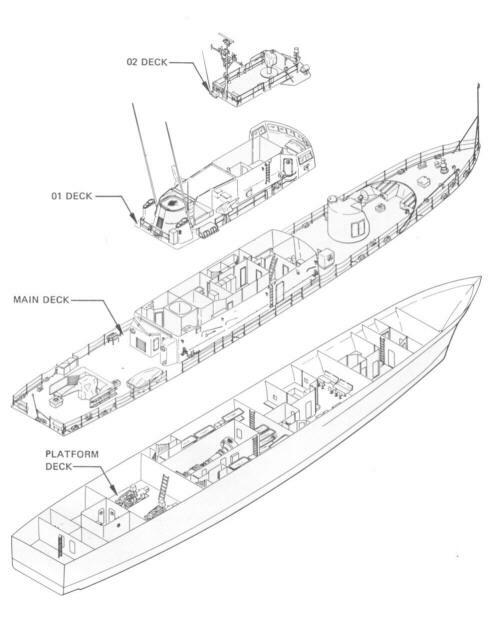 On 22 November 1970, Tacoma and several other units of the Coastal Surveillance Force attacked and destroyed a large North Vietnamese trawler that was trying to run the blockade to supply communist rebels in South Vietnam with weapons and ammunition. Tacoma steamed off the coast of Vietnam for two more months and then returned to Subic Bay on 31 January 1971. The gunboat remained there for two weeks and then headed back to Guam, arriving at Apra on 20 February. For the next five months, Tacoma was in port undergoing an overhaul and then patrolled off the coast of Guam. On 9 July 1971, Tacoma went on her first patrol of the Micronesia Trust Territories. She visited seven islands in the Yap and Palau districts of the Eastern Caroline Islands, conducting surveillance and making goodwill visits. Tacoma returned to Guam on 26 July, but left again on 10 August for her second patrol of the Trust Territories, which lasted from 10 August to 1 September. The ship visited 19 islands in the Truk and Ponape districts and apprehended a Japanese fishing vessel for violating the territorial waters of the Trust Territories at Ngatik Island. Tacoma returned to Guam on 1 September and remained there until early November. 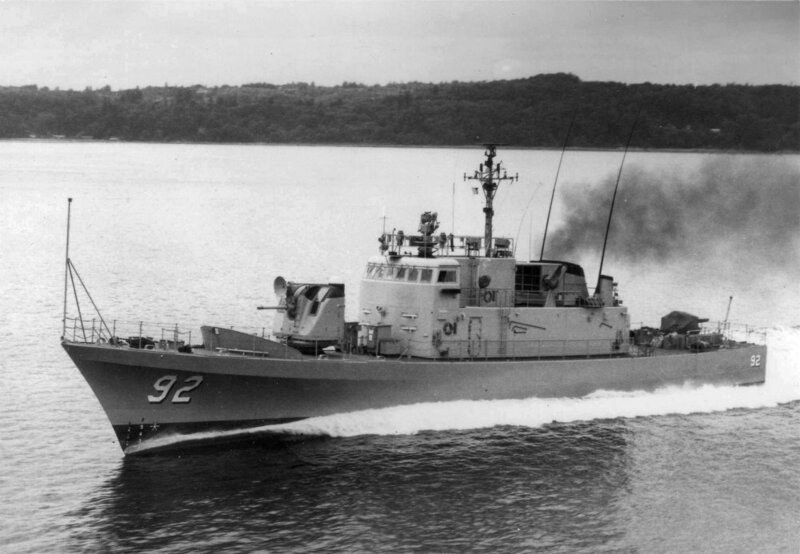 On 5 November 1971, Tacoma left Guam with her sister ship and class leader, the patrol gunboat USS Asheville (PG-84), and headed (via Subic Bay) back to Vietnam. 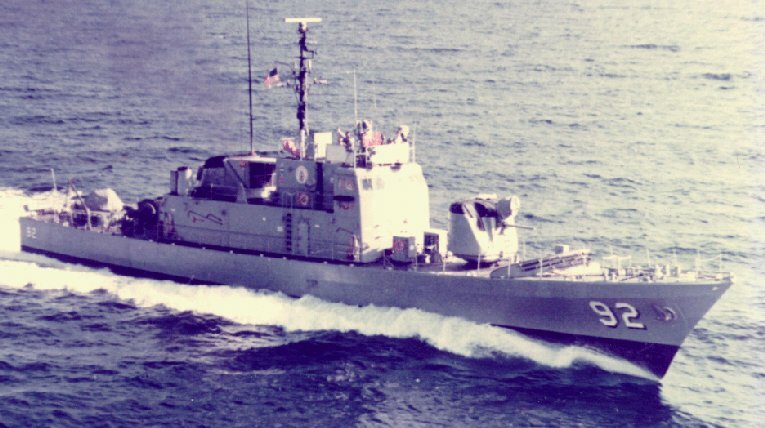 On 29 November, Tacoma and Asheville relieved the gunboats Crockett (PG-88) and Welch (PG-93) and resumed “Market Time” operations by blockading and intercepting communist coastal supply shipments off the coast of Vietnam. After almost two months of patrolling the Vietnamese coastline, Tacoma left Cam Ranh Bay on 26 January 1972 for a visit to Bangkok, Thailand. After arriving in Bangkok, the ship welcomed officers of the Royal Thai Navy on board for tours of the ship. On 3 February, Tacoma resumed coastal surveillance patrols along the coast of Vietnam. In late March, troubles with the ship’s starboard main engine forced her to return to Subic Bay for repairs. Tacoma remained there from 29 March to 24 May and then returned to Guam on 31 May. After she returned to Guam, Tacoma began three months of sea trials, independent exercises, restricted availabilities, and inspections. On 14 October 1972, Tacoma headed back to Vietnam along with Asheville. From 20 October to 15 December, Tacoma completed two patrols along the coast of Vietnam, and made a brief visit to Bangkok in mid-November. On 15 December, Tacoma and Asheville left Vietnam and returned to Subic Bay in the Philippines, staying there from 18 to 21 December. The two gunboats then departed for Guam, arriving there on 28 December. For the first three months of 1973, Tacoma conducted naval exercises while based at Guam. In April, Tacoma underwent an overhaul at Apra, which was completed two months later. In late June and early July, Tacoma conducted sea trials and completed various drills. Then on 12 September, Tacoma was given the task of “shadowing” or following a Soviet submarine tender and fleet submarine which were operating in the vicinity of the northern Marianas Islands. Tacoma returned to Apra on 18 September and completed additional sea trials on 27 October. On 5 November, she began another patrol of the eastern Caroline Islands, returning to Guam on 24 November. From 11 to 16 December, Tacoma made Christmas holiday port visits to the northern Marianas Islands. After completing some repairs and naval exercises at Guam, Tacoma left Apra on 13 February 1974 for a three-month cruise. In late February, she participated in exercises with the carriers Midway (CVA-41) and Oriskany (CVA-34) and the gunboat Marathon (PG-89). In March, Tacoma visited Singapore and then steamed along the Malaysian coastline. Later that month, the ship dropped anchor at Bandar Seri Begawan in Brunei on the northern coast of Borneo. After a two-day layover at Subic Bay, Tacoma visited Taiwan and then returned to Guam on 27 May. Tacoma left Guam on 21 June 1974 and headed back to the United States. After reaching Pearl Harbor, Hawaii, on 3 July, Tacoma left five days later and reached San Diego on 15 July. On 1 August, Tacoma steamed south along the coast of California and Mexico, stopped at Acapulco for two days, and reached the Panama Canal Zone on 17 August. After transiting the Panama Canal on 22 August, she headed to Guantanamo Bay, Cuba. 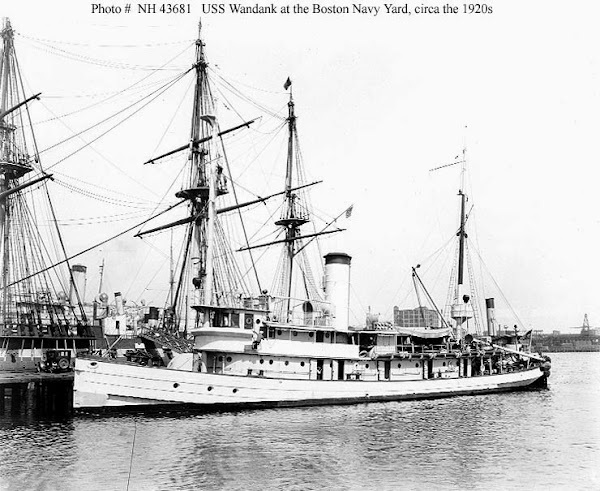 The gunboat went on to Port Everglades, Florida, and then reached her new home port at Little Creek, Virginia, on 2 September. From 14 April to 30 June 1975, Tacoma completed an overhaul at Norfolk, Virginia. After undergoing several weeks of refresher training, on 3 September Tacoma began her final mission, serving as a training unit for Royal Saudi Arabian naval personnel. While serving as a training ship, Tacoma sailed along the east coast of the United States and in the Caribbean. The gunboat continued being used as a training ship until she was decommissioned on 30 September 1981at the Naval Amphibious Base at Little Creek. USS Tacoma received two battle stars for her service during the Vietnam War. On 1 May 1983, Tacoma was leased to the Colombian Navy as a fast attack craft and renamed ARC (Armada de la República de Colombia) Quitasueño (P 112). The ship was formally transferred to the government of Colombia on 20 September 1995. 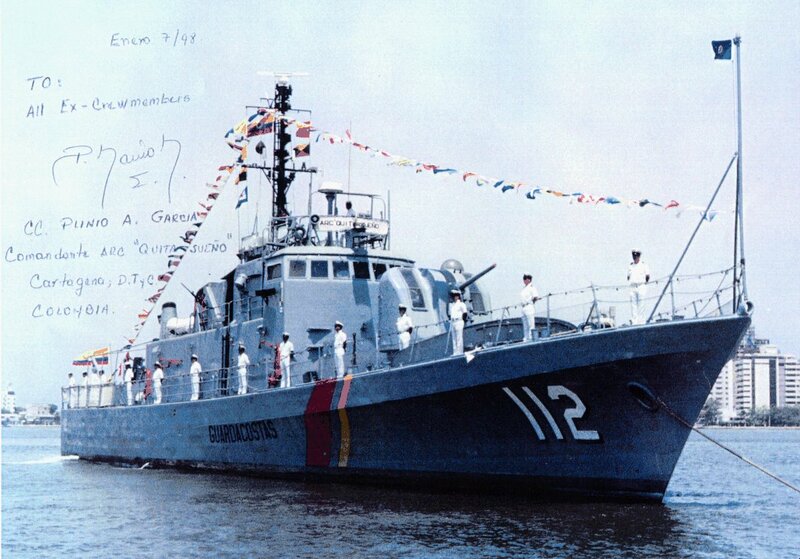 ARC Quitasueño was subsequently transferred to the Colombian Coast Guard where she remains in service to this day.